Your Real Estate Guide for Homes in Raleigh, Durham, Cary, Apex, Chapel Hill & Triangle areas. Need to Sell? 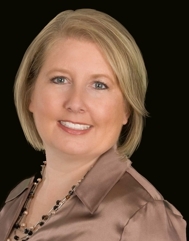 Carla Sells your Cary, Apex, Holly Springs, Raleigh & Fuquay Varina Homes or Real Estate. Real Estate isn't just a job; it's a "Way of Life". Not only is it a way of life for us as Real Estate Professionals, it's also a way of life for our families. When you're a Real Estate Professional, your commitment to your clients doesn't end at 5:30 each day, it doesn't end when you go on vacation or to see Grandma, it doesn't end when you're sick, and it doesn't end once the transaction closes. My passion for Real Estate started in middle schools most likely because I love beautiful homes and what a home does for a family. This has been my career of choice for many years because of the difference I can make in the lives of others. My heart overflows with joy for all the success we help our clients achieve. It's the same as scoring that big goal, getting an A+ on a difficult paper, making a big catch after a long day of fishing, or killing it on opening day of the play. This is our playing field and we want to succeed for our clients! My fabulous team & I are happy to work with the best clientele in the Raleigh - Cary, Durham, Chapel Hill Triangle areas. We have years of combined Real Estate and mortgage experience and work with the Best National and International Real Estate Brand, Keller Williams Realty. Everyone on our team has moved at one time or another and in most cases, have relocated from one area to another. We understand how quickly a Real Estate transaction can go sour. That's why it is important to us to offer an Honest, Knowledgeable, Reputable, Proactive, and Strategic Real Estate option! We care about our clients! Carla is the team listing specialist and we have a team of buyer specialist. More importantly, we're backed by an extraordinary office staff that will ensure every detail is taken care of! The latest Real Estate trends are very important and we stay on top of what's happening locally, nationally, and internationally. Education is of upmost important which is why we take more classes than the minimum required to keep a license. Carla serves as "Co-chair" on the Education committee in the local office and is on the Agent Leadership Council. It isn't uncommon to find us out and about in the different communities. We want to know what's going on in your community to help us better serve you. We also network with Real Estate Professionals across the country and world. That allows us to assist you with your next move whether locally or out of the area. In addition to that, it gives us an opportunity to understand Real Estate trends in different areas and how they'll effect us at home. Clients aren't just a means to an end to us. Many of our clients become friends and we keep in touch with them well after the closing. If you want a team who is passionate about what they do, is armed with marketing strategies, has systems in place to smoothly transition you through the negotiation and closing process, and who will be there when all is said and done, the we're the Team for you! Find Homes in Raleigh, Cary, Apex, Durham, Chapel Hill, North Carolina and surrounding Triangle Areas. How to Find a Buyers Agent to Represent you in Your North Carolina Home Purchase. Selling your Home in Raleigh, Cary, Durham, and Chapel Hill? Here's How to Get Your Home Sold in 30 Days or Less! Are you a Home Seller looking for a Real Estate Professional to Sell Your Home in Raleigh, Cary, Apex, Duraham, Chapel Hill or surrounding areas? Are you wondering How to Find out what your Cary, Apex, or Raleigh Home is Worth? We sell homes in All Wake County and some areas of the Surrounding Counties. Because I didn't HAVE to move, my home search was lengthy - I was picky. Carla was so patient and knew exactly what I was looking for. She was my realtor for my purchase and for my home sale. Both went so smoothly mainly due to her eye for detail. She asked questions I never would have considered. If you are considering a home search or sale, I would highly recommend Carla and her team. Having a realtor is so worth the little extra expense. It WILL save you money in the long run.